This contemporary home features a desirable open plan kitchen dining area with a separate living room and french doors to the rear garden.The first floor boasts three double bedrooms, the master with en-suite whilst bedroom 2 and 3 are served by the family bathroom. 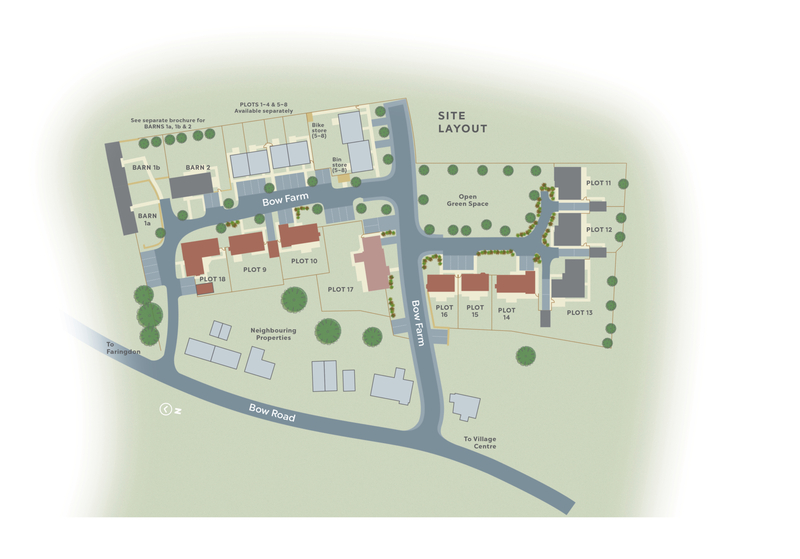 To register your interest in The Lockinge, Plot 15 and/or to arrange a viewing, click the button below and fill out the form. 5285mm x 3470mm 17'4" x 11'5"
5285mm x 3165mm 17'4" x 10'5"
3350mm x 3220mm 11'0" x 10'7"
3625mm x 2620mm 11'7" x 8'7"
2585mm x 2410mm 8'6" x 7'11"
2720mm x 1210mm 8'11" x 4'0"
2755mm x 1565mm 9'0" x 5'2"
The Lockinge, Plot 15 is part of the Bow Farm development. For more information click the button below.